Adolphus Sterne was born in Cologne, on the Rhine, in 1801. Adolphus Sterne arrived in America, in 1817, landing in New Orleans. He clerked in a store and read for the law, but never became a lawyer. Sterne first opened a merchandising store and warehouse in Nacogdoches. As a sympathizer for the Freedonian Rebellion, he smuggled ammunition from New Orleans and shipped it to Nacogdoches hidden under crates of coffee and other merchandise. He was caught by Mexican authorities, charged with treason, arrested, court-martialed, and sentenced to be shot. The Masonic Grand Master of the Grand Lodge of Louisiana, and a number of U.S. Senators who were also Masons, secured a pardon for him. Nacogdoches Old Fort, where Adolpus Sterne was chained in a cellar while awaiting execution, before being pardoned. 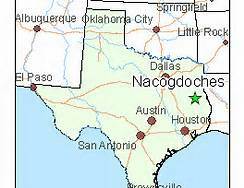 During what was later known as the Battle of Nacogdoches, Sterne directed Texans through the backwoods to where they could attack Mexican forces from their rear, causing panic and retreat, and a Texas victory. After the battle, Adolphus Sterne helped bury the many dead, making special arrangements for the proper burial of any Masons, whether they be Texan or Mexican. Sterne served as Representative to the First Legislature of Texas. Over the years, he served as Notary Public, Judge, Deputy Clerk of the Board of Land Commissioners, Deputy Clerk of the County Court, Justice of the Peace, and Postmaster in Nacogdoches. Sterne was also State Senator from 11th district of Texas in 1851. Adolphus Sterne was a life long Mason. He was a thirty-third degree Scottish Rite Mason. While on a trip to New Orleans to buy merchandise, Adolphus Sterne meet Eva, an orphaned German-Jewish immigrant who had been adopted by the Bosiers, a wealthy French family in New Orleans. The family had converted her Catholicism. Sterne converted to Catholicism to marry Eva in 1828. Sterne built his wife a beautiful home on 30 acres on the east end of town, complete with gardens and an orchard. 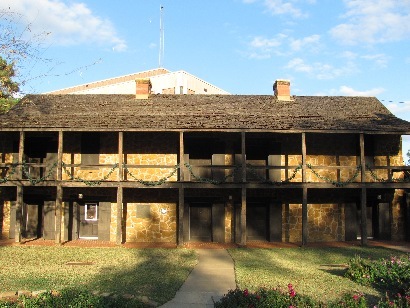 The Sternes were great entertainers, hosting such people as Governor and Mrs. Sam Houston, Davy Crockett, and many others, as they passed through Nacogdoches on their way between New Orleans and San Antonio. Adolphus Sterne passed away in 1852 and is buried in Nacogdoches. C. A. Sterne, “The Adolphus Sterne Diary: Citizen of Nacogdoches, Texas, 1801 – 1852,” Western States Jewish History 34/4.